Threshold is an exciting new adventure in the 28 year history of University of York’s Science & Technology Studies Unit (SATSU). In our project of extending SATSU outwards to become an interdisciplinary hub, we will be developing a series of activities and collaborations around a series interlinked themes. Led by Joanna Latimer, Rolland Munro, Nik Brown and Dave Beer, Threshold is the first of these thematic nodes. It draws upon a range of diverse resources and perspectives and is aimed at exploring the liminal edges of everyday, organisational and social life – and how they are crossed. Threshold is not a project with a pre-defined set of outcomes or a fixed lifespan. Instead we see it as a point of contact between different streams of work and as a center of gravity for cross-disciplinary dialogue. Thresholds touches on so many dimensions of interest in STS and related fields and concerns. We have a Threshold website which acts as a focal point for activity and we already have posted material on: those thresholds of entanglement that cut across nature-culture; thresholds of security, insecurity and vulnerability; the borders of statehood, nation and colonialism; thresholds determining the boundaries between ablement and disablement in the politics of the body; thresholds punctured, pierced and troubled. Attracting contributions from scholars and researchers with diverse backgrounds, both nationally and internationally, Threshold is primarily geared toward political, conceptual and creative exchanges. Hence the website has been set up to communicate ideas, events and outputs in public. For example, in the ‘news & ideas‘ section we post updates and news along with reflections, ideas and relevant reviews. 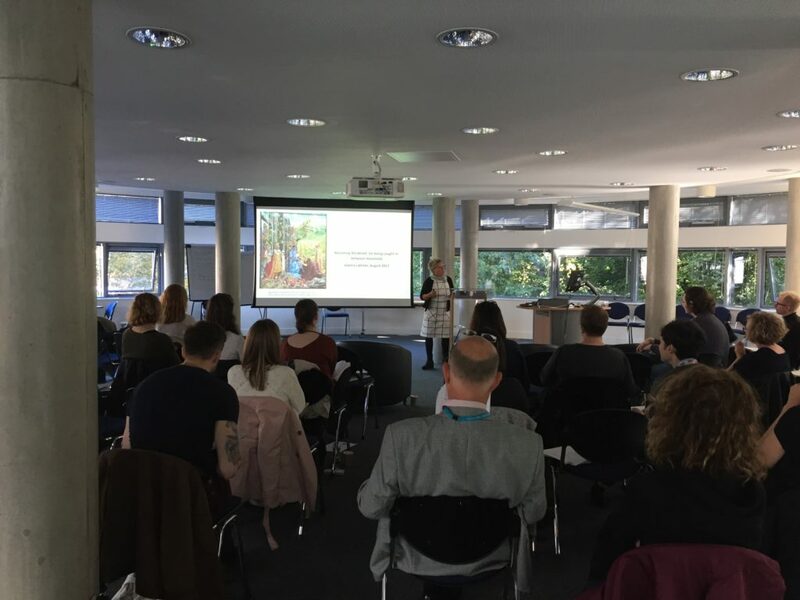 As a part of getting our Threshold project off the ground, we hosted an extremely lively and well-attended pop-up symposium at York on the 22nd of September 2017. Nisha Kapoor’s contribution, Deport, Deprive, Extradite, focussed on the extradition from the UK to the US of individuals suspected of terrorism-related offences – such cases are taken to delineate the outer dimensions of state power, positioned at the thresholds of what Saskia Sassen refers to as the ‘systemic edge’ of the security state. These questions of vulnerability, the thresholds between security and insecurity, were taken forward by Joanna Latimer in an entirely contrasting context, where the edgy encounters she reflects on involved rethinking companion species in a rural site in Crete – notably she recounted the mortal consequences of a collision of thresholds, and the politics of being open and vulnerable, and of becoming rendered, including the reassembling that occurs. Reihaneh Afshari Saleh & Richard Ogden, in Crossing the Threshold in Iran, took the conversation forward in their discussion of the domestic threshold and social conventions and rituals of greeting, embracing, kissing, paying compliments, among others. In doing so they show how appreciating the extraordinariness of ordinary interactions leads to a better understanding of the thresholds of daily encounters. This sense of the ordinariness of encounters and crossing was further developed in Helen Wilson’s contribution focussing on those moments where convention is ruptured and becomes suspended in a liminal state of irresolution and shock. That sense of shock of a threshold being breached was evident also in Sharon Winfield’s contribution on gendered ‘taboo’ in religious tradition, namely the profound liminalities affecting female priesthood. Thresholds are created and made passable or impassable by all of us, not just the designated institutional and disciplinary gatekeepers, some of which are human and others techno-institutional. Jocelyn Finniear and Paul White explore gatekeeping and delegation as dimension of the ‘management’ of maternity leave following childbirth. Thresholds also define legitimating distinctions between the proper and improper within statutory and regulatory regimes, as illustrated by Isabel Fletcher reporting on her Wellcome Trust ‘Liminal Spaces Project’. 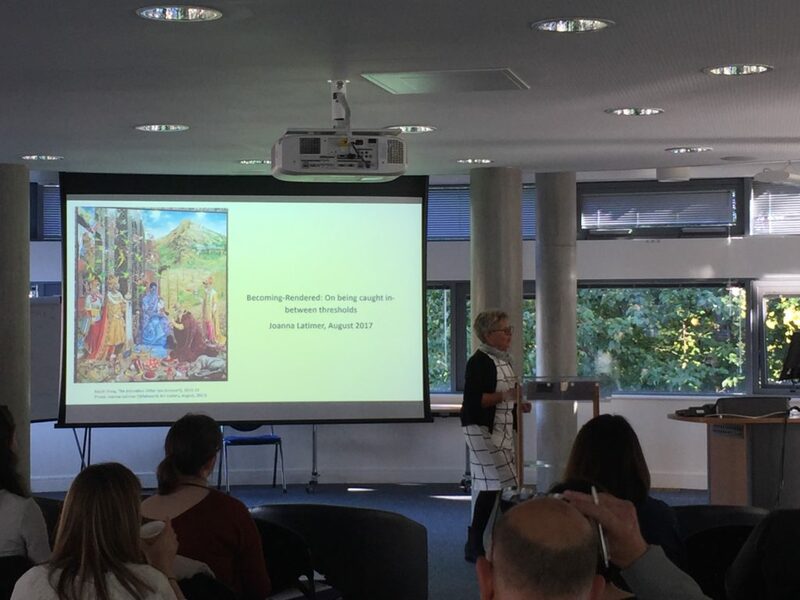 For Laura Wigley thresholds provide a way into thinking about the liminal space occupied by ‘disabled students’ in the academy and their efforts in navigating entry to ‘reasonable adjustments’ to the standard university curricula. In any number of different ways, the question of thresholds indelibly draws into its orbit the problem of the body, embodiment, bodies that do and don’t fit. Julia Swallow’s contribution focussed on genetic breast cancer testing, where the specific category of ‘intermediate risk’ illustrates how patients interpret, share and refine this ambiguous categorisation. In a similar way, Nik Brown, explores the way cystic fibrosis patients seek to limit their contact with others, steering clear of infection risks, whilst also obliged to participate in the flux of life, contact, interaction – his paper explores the role of the built environment (the architecture of the clinic) in structuring the co-evolutionary relationships between the biomes of the body and those of the building. Similarly, in the context of bodily borders Nicole Vitellone’s paper explores the syringe as a tool for thinking, an attempt to reclaim the everyday experiences of injecting drugs, based in a Needle Exchange clinic. These built infrastructures for accommodating liminality also underpin Catherine Pemble’s discussion of ‘dementia friendly’ environment, neighbourhoods, zones and districts. Inevitably data has come to support and even supplant the kind of thresholds that were once at the heart of the identity thresholds examined mid-century by the anthropologist Victor Turner. David Hill reported on the invisible labour in van drivers meeting the deadlines incorporated into devices like Edo. More generally David Beer gave an inspiring insight into the power of intermediaries to speak with your own data to illustrate the reach and intensity of data-led thinking, judgment and ordering. The borderlines between the human and the animal also featured. The artist Max Kimber explored the porosity of thresholds between art and anthropology from the perspective of a taxidermist. Bethany Robertson’s study looked into the identity of pets in the family home when their ‘owners’ were away at University. 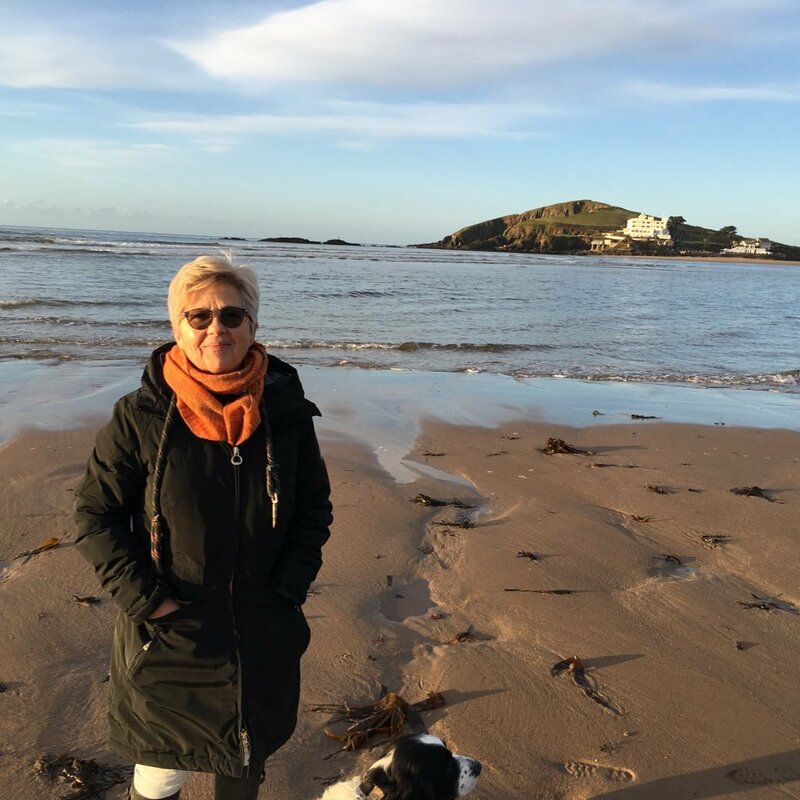 Away for animals but with a focus on students, Ella Taylor-Smith discussed a study set up to explore the threshold between employment and study – you can read her take on this in the form of her poem on the Threshold site.